America’s most awarded and best-selling minivan ever, the Dodge Grand Caravan, just got a lot cooler. For the 2017 model year, Dodge has condensed the Grand Caravan lineup from six to four trims and now there are more excellent standard features in each new trim. Lucky for us, University Dodge already has 2017 Grand Caravan trims available to test drive and buy! Check out the details of the new 2017 Dodge Grand Caravan lineup and all four trims! All four of the 2017 Dodge Grand Caravan trims will be powered by the same award-winning 3.6-liter Pentastar V6 FlexFuel engine. However, the engine in the 2017 trims has dual Variable Valve Timing (VVT). VVT which improves the vehicle’s to 283 horsepower and highway fuel economy to 25 MPG. The engine produces 260 lb-ft of torque, which helps the Grand Caravan to achieve its maximum towing capacity of 3,600 pounds when equipped with the trailer Trailer Tow Group. The new base trim on the Grand Caravan lineup is the Grand Caravan SE and it is equipped with more tech than ever. For the 2017 model year, all Grand Caravan trims come standard with a 6.5-inch touchscreen display and a rearview backup camera. Other new standard features include A/C climate control in all three rows, sunscreen glass and remote keyless entry will also be standard on all trims. The Grand Caravan will still be equipped with Stow ‘n Go seating and the Grand Caravan SE is equipped with Stow ‘n Go seating and tailgate seats in the third row. All of the trims above the base trim (the Grand Caravan SE Plus, SXT and GT) are equipped with second-row Super Stow ‘n Go and the same third-row perks that are on the Grand Caravan SE. In 2017, the Grand Caravan SXT has been upgraded to include all of the same features that were on the 2016 Grand Caravan SXT Plus, but the 2017 Grand Caravan SXT is priced the same as the 2016 Grand Caravan SXT and it has new a few features like the new remote start system. The 2016 Grand Caravan R/T has been replaced as the 2017 Grand Caravan GT and as the upper-trim level, it has a lot of upgrades. The Grand Caravan GT has unique style touches and convenience features include red-stitching on the interior, Bluetooth streaming audio, window shades, overhead storage bins and heated seats in the front and second rows. The 2017 Grand Caravan still looks like the same family-friendly minivan that people know and love. 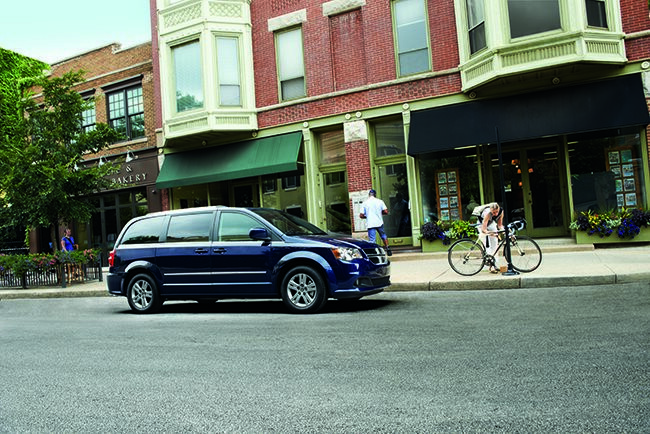 Unlike other minivans on the market, the Grand Caravan has an athletic appearance. It has a similar front grille as the Dodge Durango and large front headlights. It is equipped with two sliding doors and the upper trim levels have an automatic liftgate and automatic power sliding doors, which is a great way to prevent slammed fingers. The 2017 Grand Caravan has a four-star overall safety rating from the NTSA and it is equipped with more than 55 available safety, security and technology features. All 2017 Grand Caravan trims are equipped with trailer sway damping, electronic stability control, seven airbags and daytime running lights. Available safety add-ons include ParkSense rear park assist system, Blind-spot Monitoring and Rear Cross Path detection system, all of which are excellent preventative safety features. 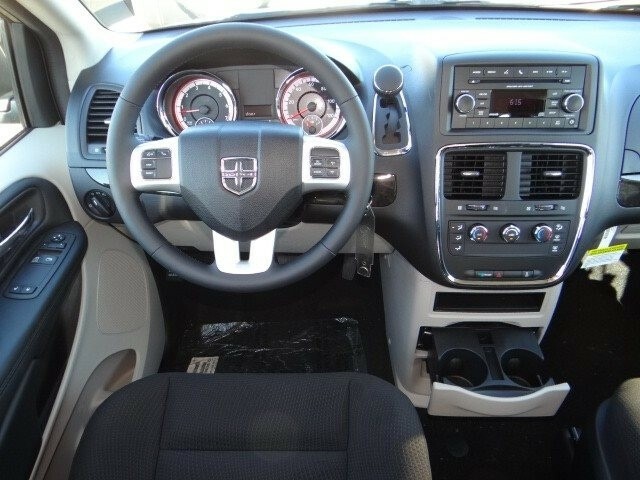 Interested in a 2017 Dodge Grand Caravan? 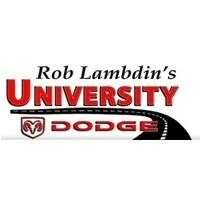 Come down to University Dodge to test drive the newest trim today. We are conveniently located between Miami and Fort Lauderdale and we are open seven days a week.